Dolly ‘Bett Bett’ Bonson lived a life filled with determination and kindness. The great-great grandmother of Department of Housing and Community Development staff member’s Emily and Joshua Bonson, Dolly was a character who inspired many. The word ‘Her’ can have a different meaning to many people. 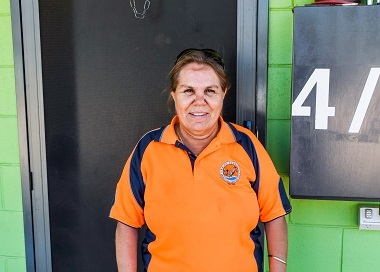 That’s why this NAIDOC week our Yolngu staff members, originally from Northeast Arnhem Land, are celebrating the term ‘Her’ in a cultural context. “I have very fond memories of grandmother,” Jennifer Cubillo, Department of Housing and Community Development Client Services Officer says. Homes in the Alice Springs town camps are receiving electrical upgrades, as part of the $69 million stimulus program. Malcolm and Sacha Loy are the May winners for the Pride in Your Place Awards. Town camp residents are excited to see the results of a $24 million immediate injection into their housing needs. Residents in remote communities are continuing to celebrate their new homes as part of the National Partnership on Remote Housing program. A competition to find a mural design for our Pitcheneder public housing complex in Parap has come to a close, after a successful social media campaign. The Department of Housing and Community Development $69 million stimulus program is continuing to put smiles on the faces of many public housing tenants. 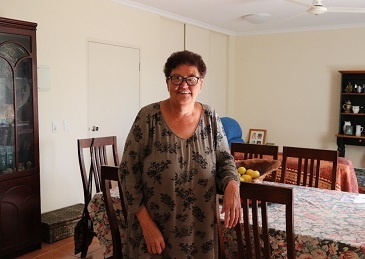 Katherine tenants say the $69 million stimulus package has had a positive impact, with significant repairs maintenance and upgrades carried out on public housing properties.